You may think that discarded bricks from Middlesbrough offer little to no artistic value, but (on this occasion, anyway) you’d be wrong. Teesside-born artist Emily Hesse’s latest exhibition at Gateshead’s Workplace Foundation, taking place from Saturday 3rd-Thursday 22nd November, draws on her roots to create a thought-provoking exhibition which brings regional feminist history, identity politics and collective action to the fore. 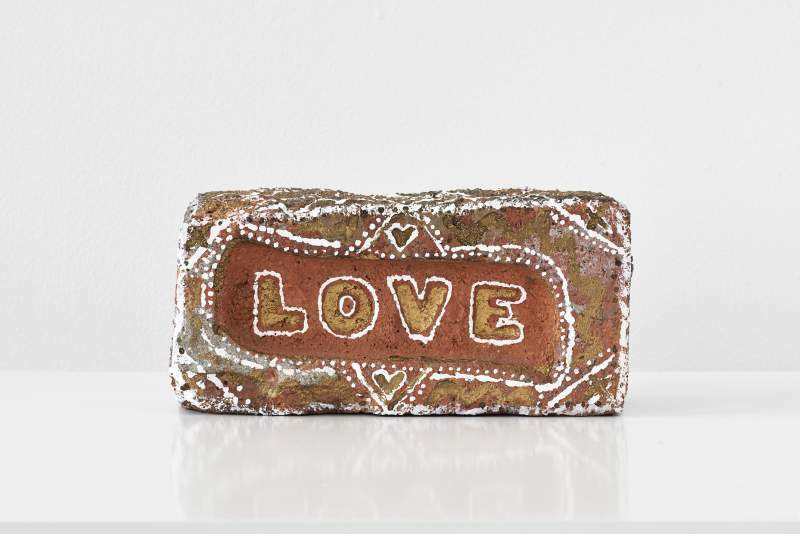 Having collected bricks which once formed homes, buildings and structures in Middlesbrough since 2014, Hesse’s work considers the weight of personal, collective and political mythologies associated with the region and its people. Her work is concerned with giving marginalised communities visibility and a voice; in marking the bricks through a variety of mediums, from correction fluid to sand, chalk and even gold leaf, Hesse allows previously unheeded voices to finally be heard. In her new exhibition, entitled The Taste of this History: A Church in my Mouth, she exhibits work across a multitude of mediums – including performance, ceramics, sculpture and painting – taking a sharp look at what she perceives to be a marginalisation of women in the region.